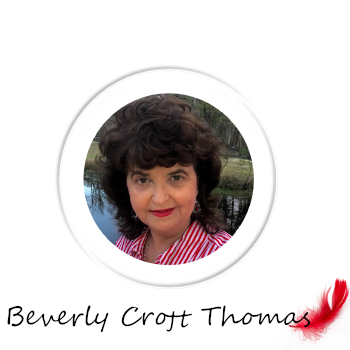 Beverly Croft Thomas, born and raised in Blackville, SC. is married to Donald (D.C.) Thomas. Beverly and D.C. make their home in Cordova, S.C. and have been actively involved in “Spoken For” Ministries since its conception. Beverly is the mother of five wonderful children along with their families. An ordained minister, Beverly is the executive director for “Spoken For” Ministries, Inc. She has served in different capacities in various women’s ministries for years. She also had the honor to serve as District Director for South Carolina Baptist Convention Ministry to Women. Over the years, God has strategically placed Beverly in situations that He used to train and equip her to minister to others. With a strong passion for hurting women; Beverly started a weekly Bible study in her home years ago. God gave her the vision to take this ministry outside of her home to another level that would provide avenues to bring hope and help enrich the lives of women. Beverly believes God has put greatness on the inside of every person and no matter what we face in life, He can and will use our challenges to bring us to a place of purpose and significance! She was taught by her strong Christian mother years ago, to trust in an all knowing God…and there is great power in fervent prayers. She watched many nights, as a little girl, as her mother interceded on behalf of her brother who was fighting in the Vietman War. Beverly witnessed, first hand, many answered prayers and learned gentle love and compassion from her beautiful Godly mother. It is with great passion and faith that she will pursue this call on her life. With God’s help, “Spoken For” Ministries will bring hope to the hopeless and minister to the hurting with every open door and by every means possible!